It’s no secret that plastic is the safest option for kids (and your floor) at the table, but it needn’t be passé. French Bull is taking kids dinnerware from drab to fab! 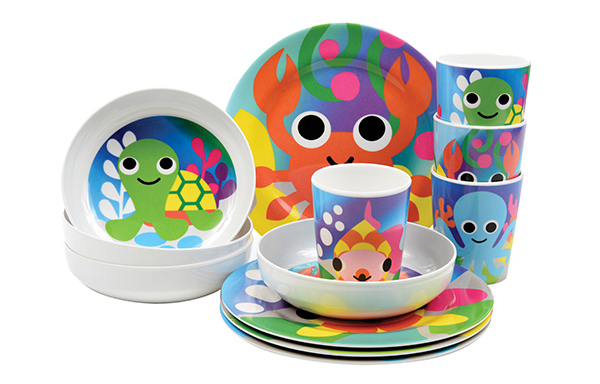 Safe and sensible melamine has never been so sweet – lovers of all things oceanic will adore the new Ocean Collection from French Bull kids range. Cups, bowls and plates are heat resistant to 180 degrees, BPA free and completely dishwasher safe. French Bull is a household favourite for bright, beautiful quality melamine with an excellent gloss finish. French Bull melamine is even scratch and shatter resistant, kids can practice the sawing knife action to their heart’s content without damaging their dinnerware! 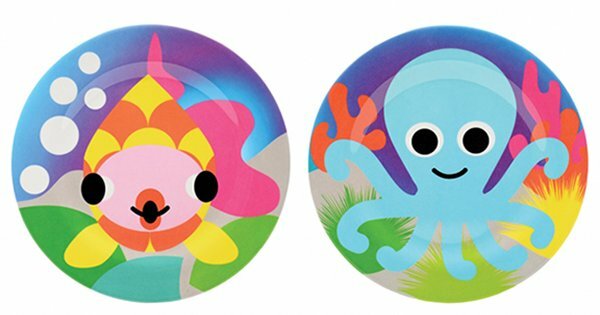 From the depths of the sea, four stunning maritime designs are available, with fish, crabs, octopus and turtles all on offer! All pieces are priced $12.95 each and available soon from Until.